Desperate for the rivers to come good again. So here we are and I have lake fever. The rivers are just like lakes and nothing improves my mood. I should be fishing the rivers now for the big chub and barbel, however most of the southern rivers have reached the highest they have ever been. 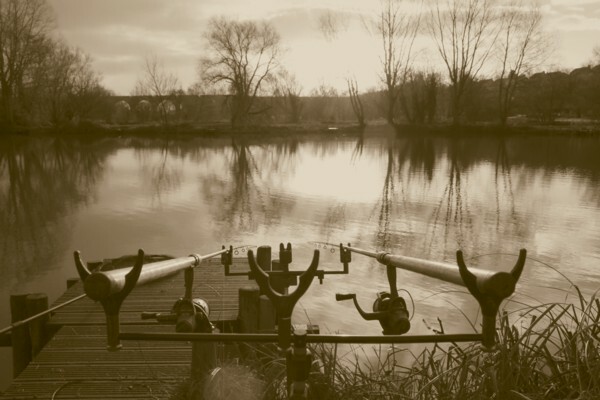 I should have been drop shot fishing a few lakes and canals but the lack of enthusiasm and the required equipment has been the limited factor. I’m going to put that right soon. However I have still been fishing for perch or not! The lakes that I’ve been fishing have just not produced. To be fair the perch cycle has passed on this lake. The 3lbers and a 4lber have not been seen. So I must move on. The rivers though are dropping very slow but if we don’t have too much rain then things might just improve. So the last trip with Andy (you should have been here yesterday) produced a few perch for him to 2lbs 7oz nothing else large came along. The weather was considerate for a change. I had a couple of carp but they came off. One small tench and I had enough. Better news though from the barbel front. Another 800 young barbel have been stocked into the Bristol Avon to supplement the few that are there. These have been stocked into the stretch of water just below the town of Malmesbury. There are a few wild fish here and lets hope it helps. BART are the people who have helped out with the support and endeavour. Here is a comment from Ian Mock. 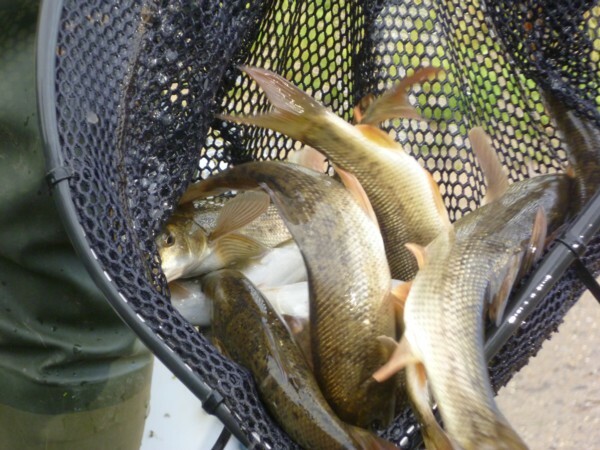 The barbel stocked were between 3 and 5 inches – all a year old. The difference in growth rates just goes to show how some of the big girls get there. Apparently the EA chap reckons many river record fish are those which had a fish farm start. We put in about 800 on this stretch and many will find their way down to Kingsmead as there are no obstacles now. Two years ago I put about 500 small barbel in just upstream of Gauze brook in an area thick with instream grasses that should have given them good protection. I think one has been caught well upstream but of course it could have been a “wildie”. This entry was posted on Monday, January 20th, 2014 at 10:01 pm	and is filed under Uncategorized. You can follow any responses to this entry through the RSS 2.0 feed. Both comments and pings are currently closed.